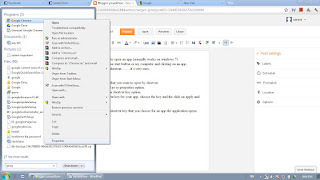 How to create a shortcut to open an application? 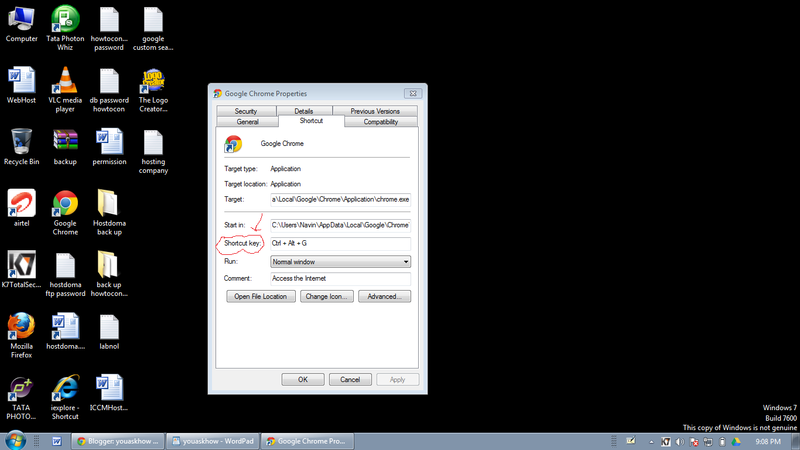 I found a trick that create a shortcut to open an app (normally works on windows 7). 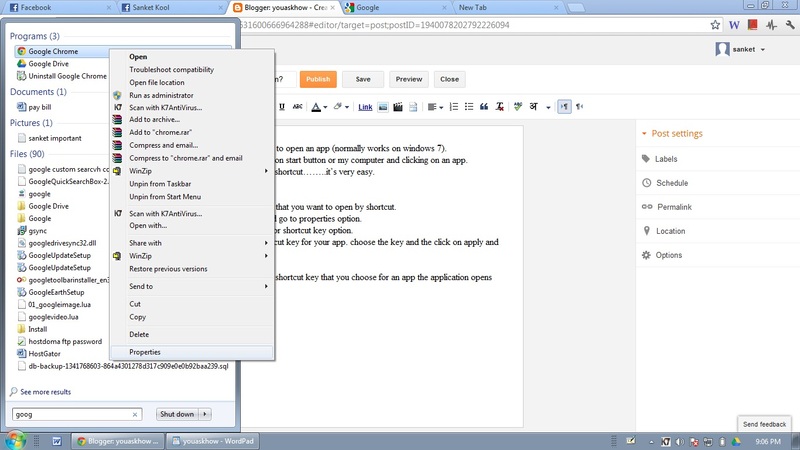 It is looks difficult to open an app by going on start button or my computer and clicking on an app. i show you easy steps to open an app by a shortcut……..it’s very easy. 1. First you have to click on start button. 2. And then you have to search for an app that you want to open by shortcut. 3. After searching right click on the app and go to properties option. 4. In properties option you have to watch for shortcut key option. you are ready now........when you click the shortcut key that you choose for an app the application opens automatically.